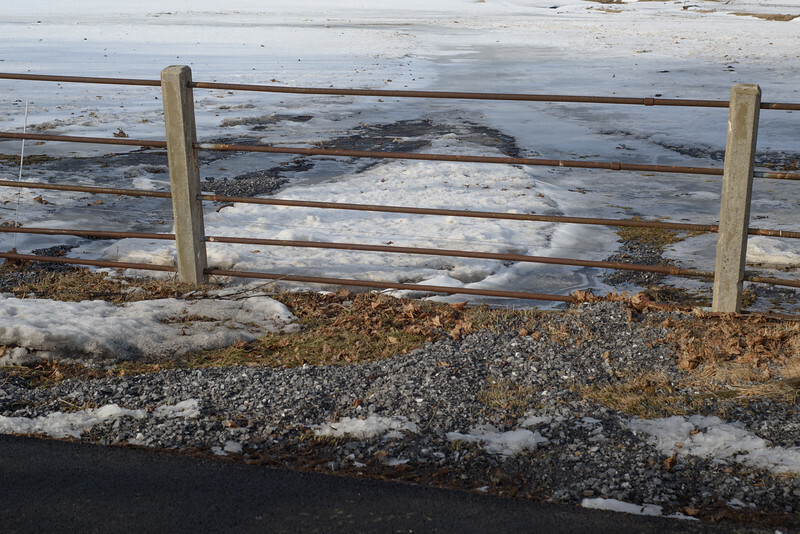 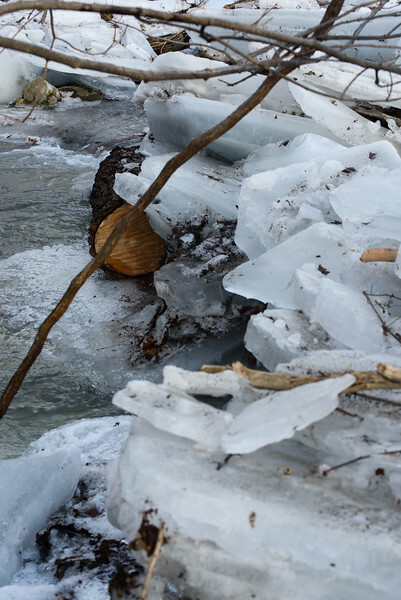 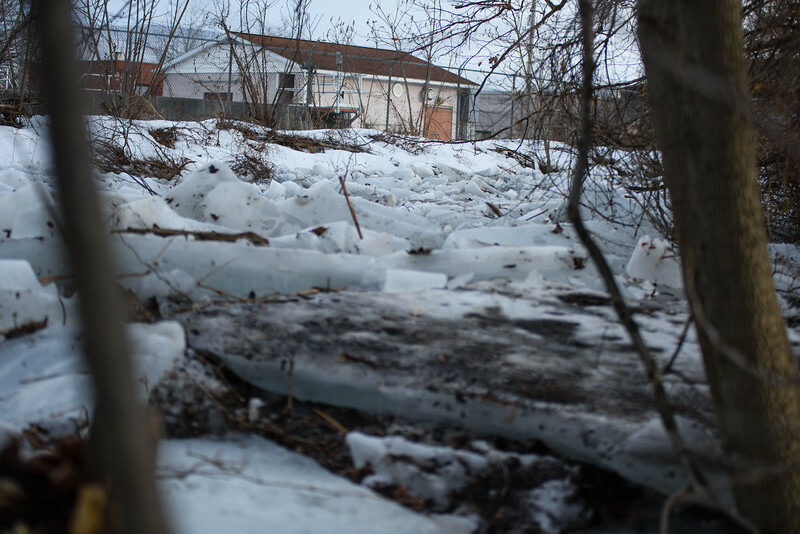 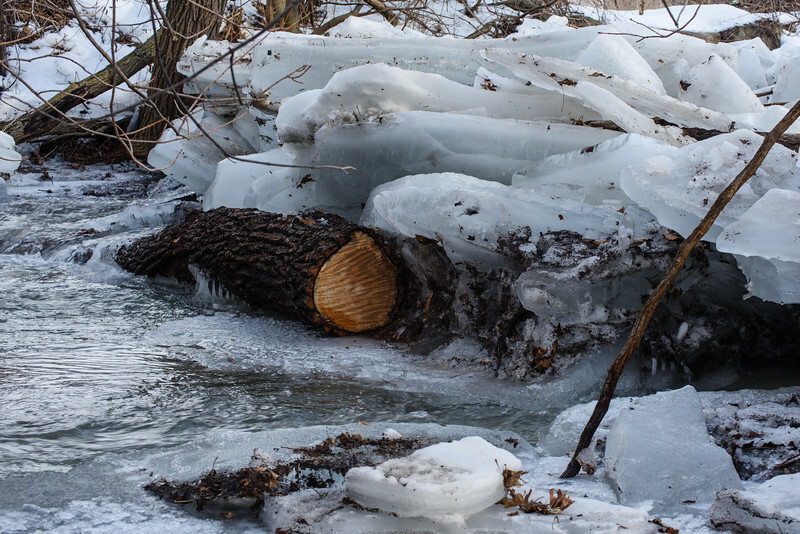 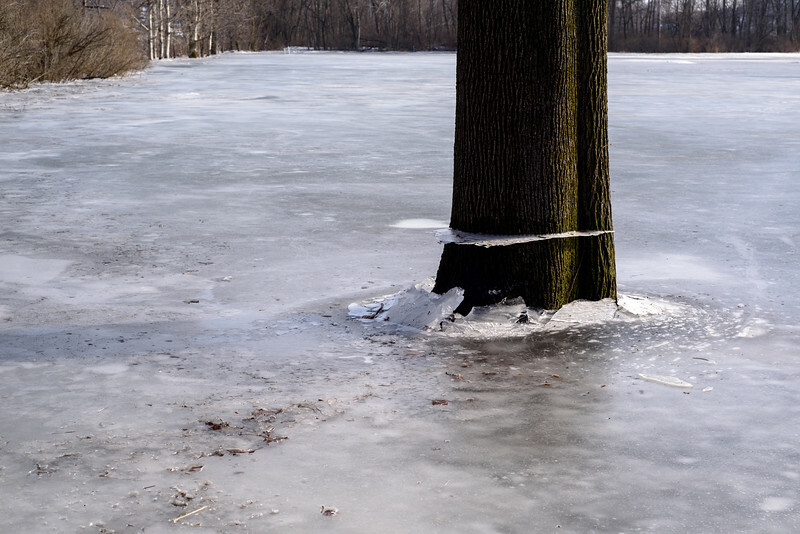 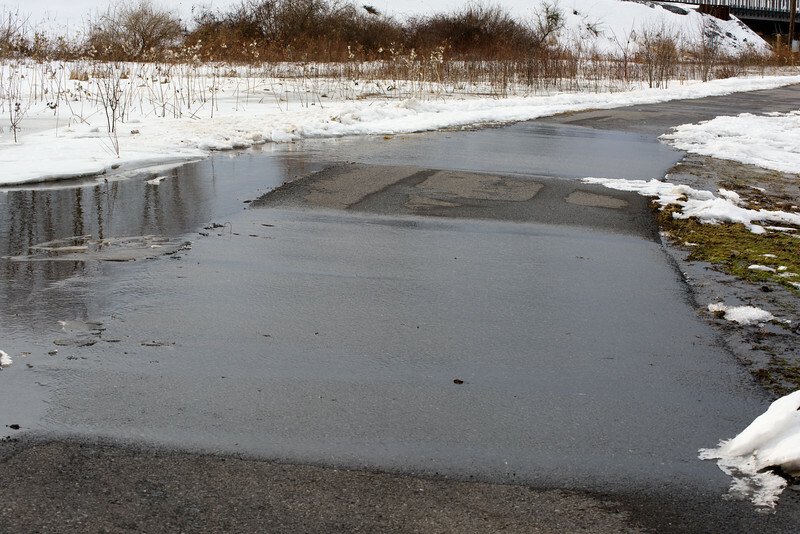 The highwater mark of the flooding can be seen in the ice-ring around the tree. 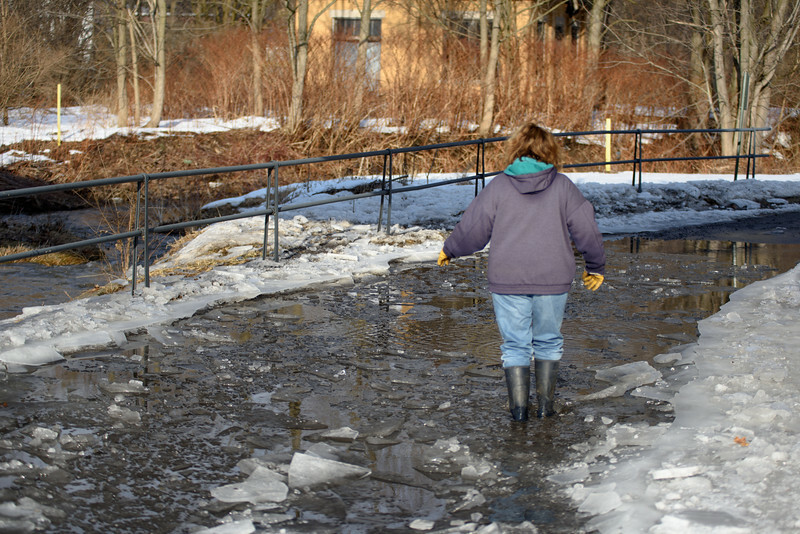 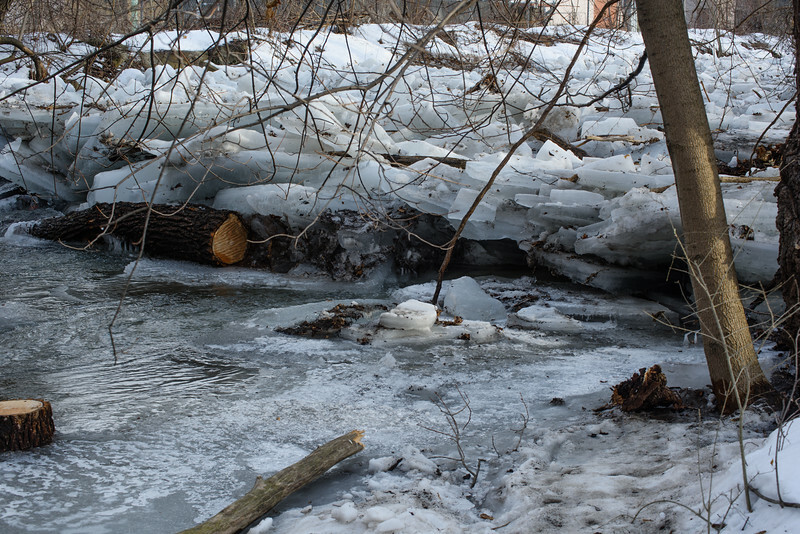 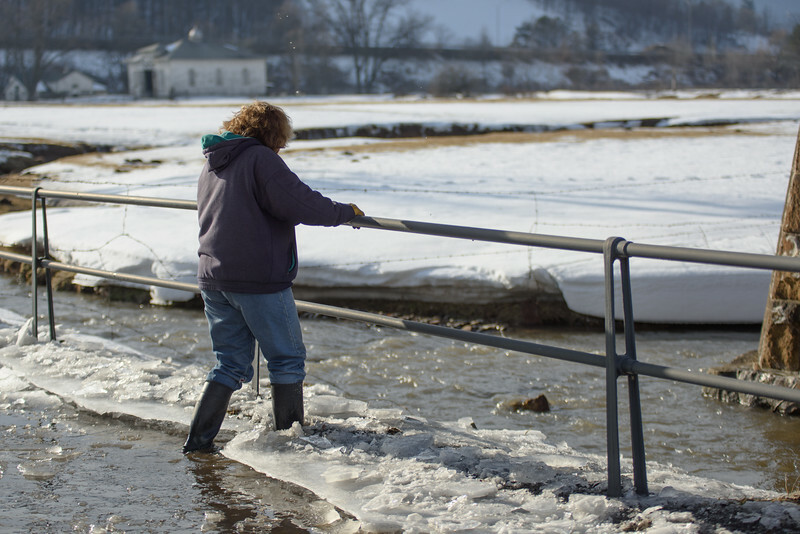 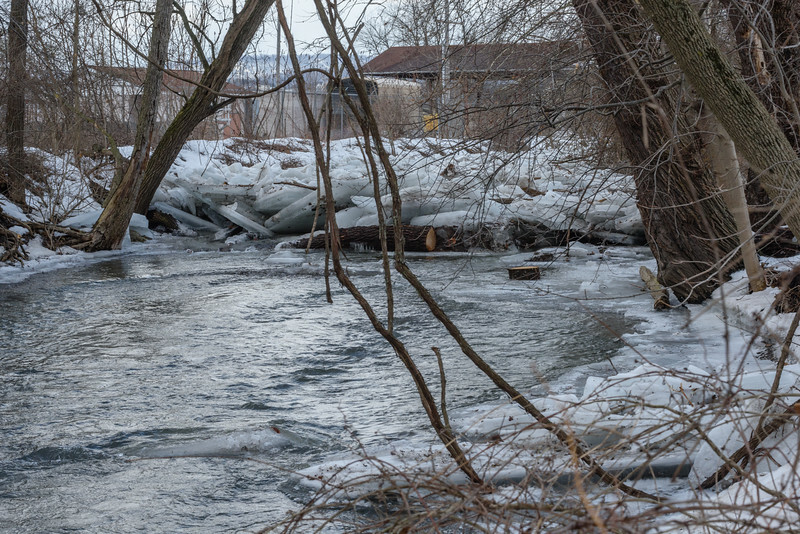 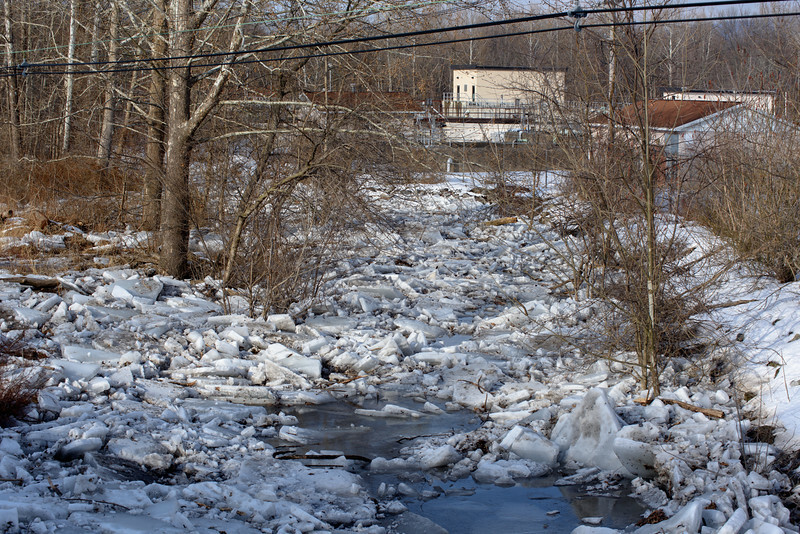 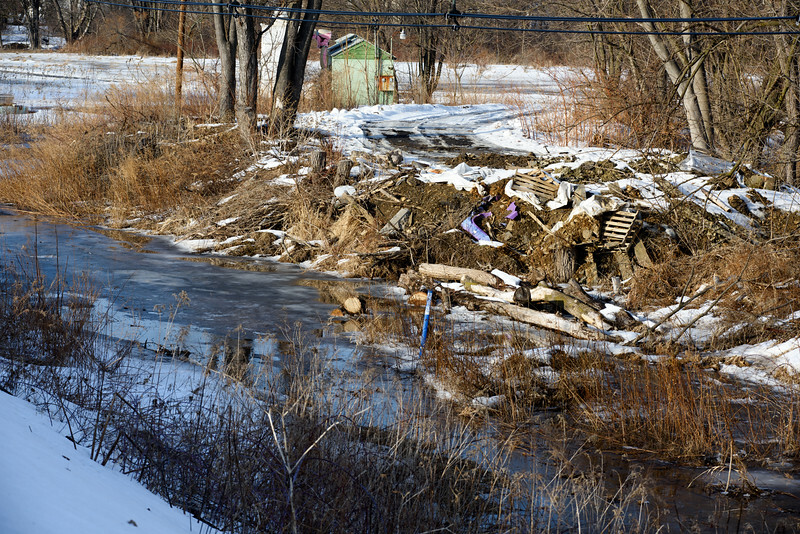 Blairs Creek dammed with ice. 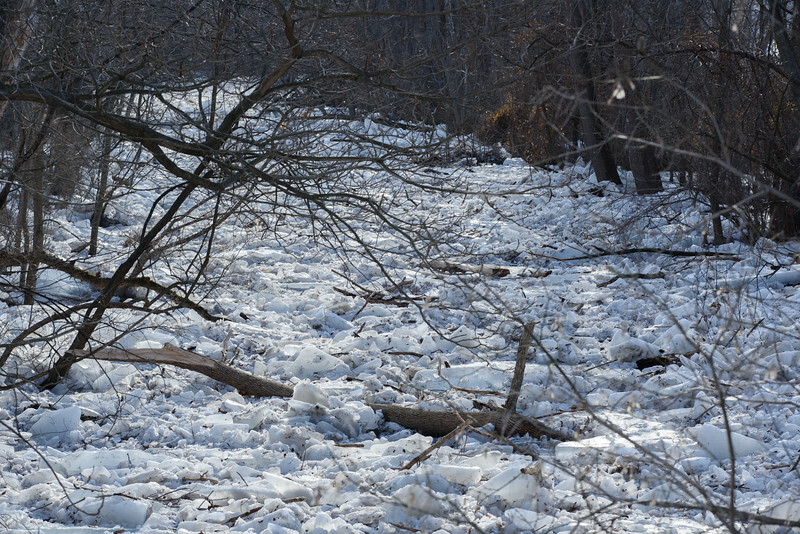 Looking up stream of Blairs Creek. 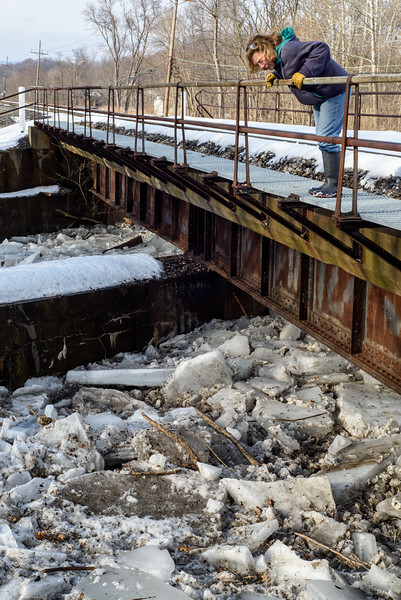 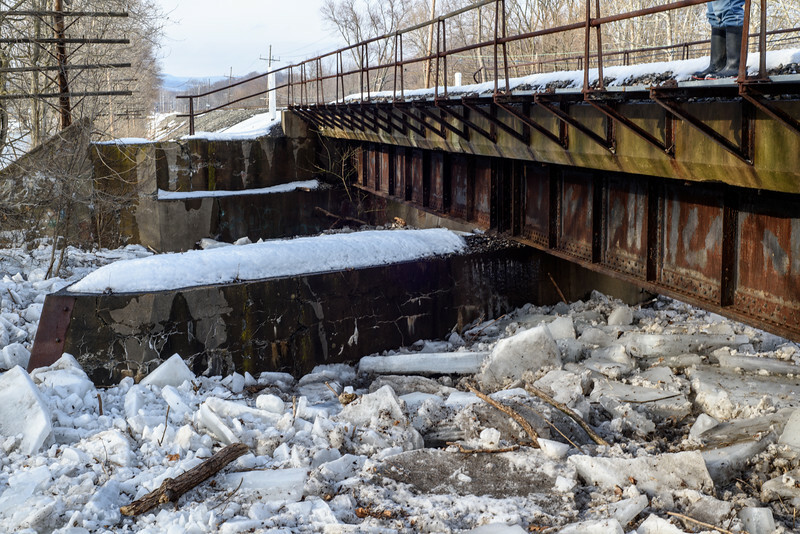 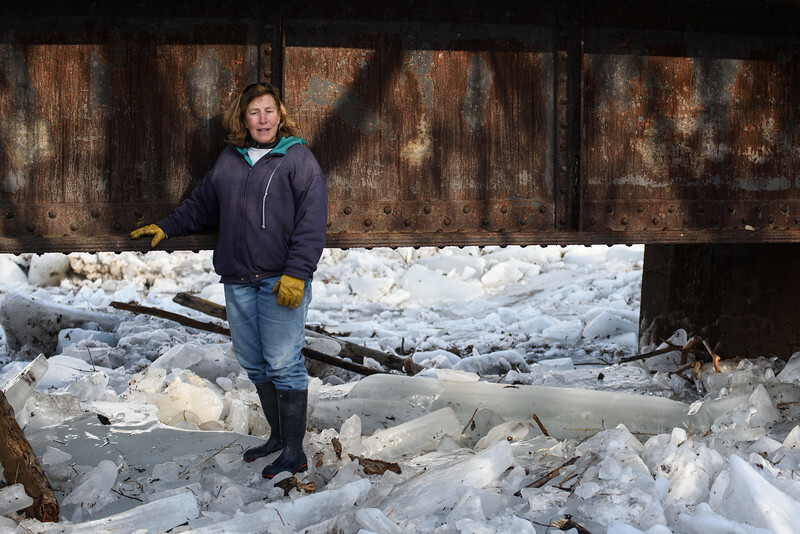 The top of the ice was less than four feet from the bottom of the rail bridge. 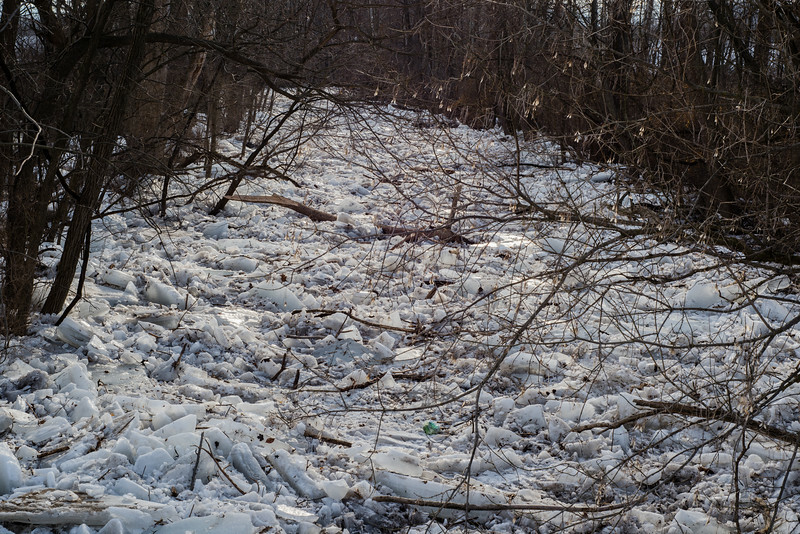 Flood water from Blairs Creek. 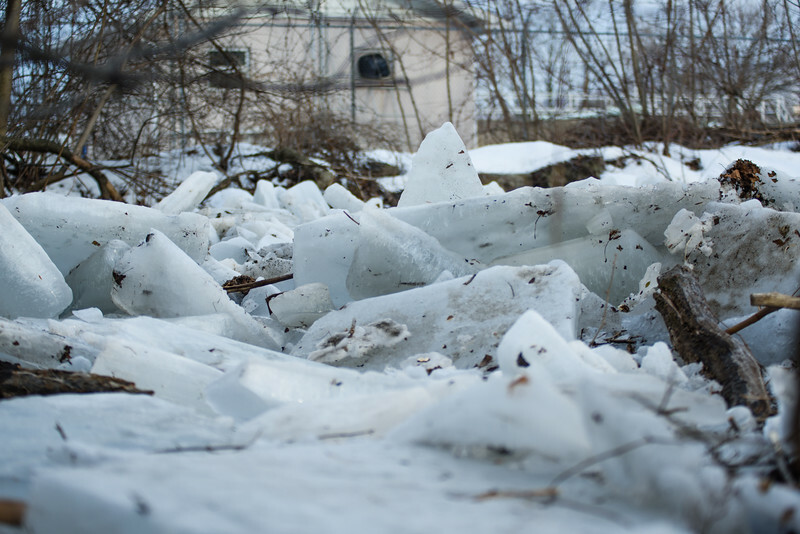 The start of the ice dam.